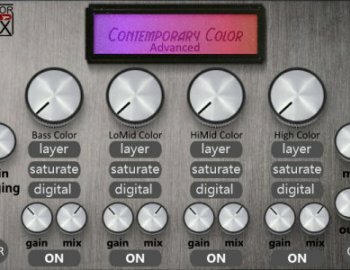 Contemporary Color is a unique audio effect for "coloring" your mixes.​ Instead of recreating some of the less-desirable aspects of analog such as noise and flutter, Contemporary Color attempts to only add smooth color. Our goal was to make a plugin that offered a new perspective on mixing. There are so many great compressors, equalizers, reverbs etc. 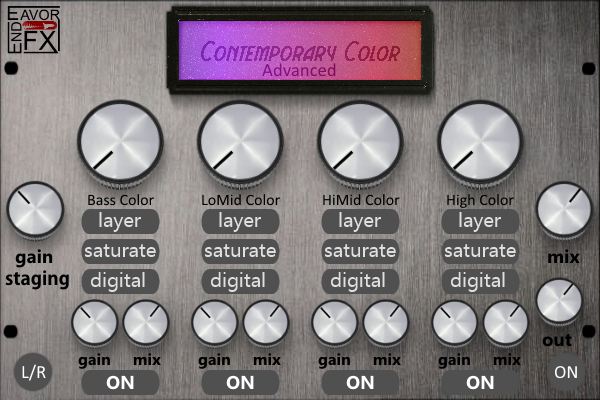 on the market; and, while one can never have too many compressors, we believe Contemporary Color will add some creativity to your workflow!